call 218-829-3268 or e-mail history@crowwing.us to order. Proceeds will help fund restoration of our Fair buildings. Free shipping. Members get 10% discount. Please help us publicize this book by sending the URL of this page to your family and friends. Facebook users - paste the URL into your status and a preview with the cover image should appear. 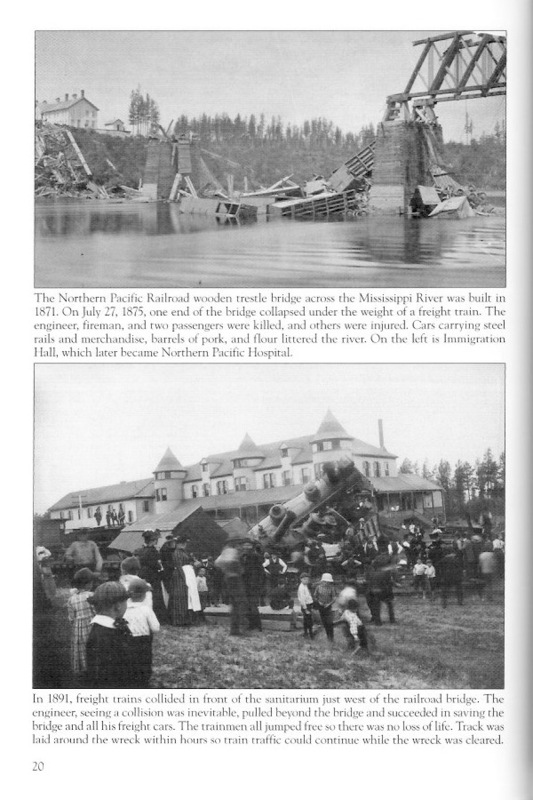 In 1870, the Northern Pacific Railroad survey crew chose the spot where the tracks from Duluth to Moorhead would cross the Mississippi River. By March 1871, the first train rolled into Brainerd, named for the family of the wife of railroad president J. Gregory Smith. 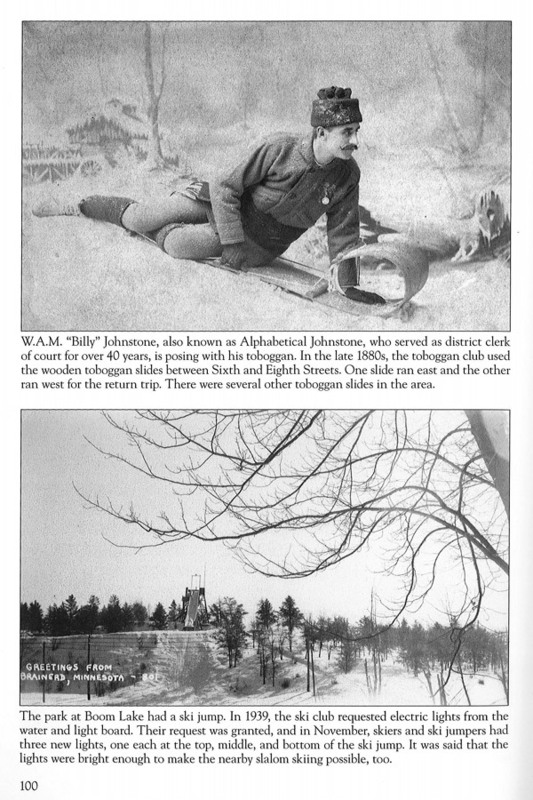 As the town site agent, Lyman P. White was responsible for platting the city and became known as the “Father of Brainerd.” The railroad established its headquarters and general offices in Brainerd, which quickly drew thousands of workers to the new town, known as the “City of Pines.” Many boardinghouses, saloons, churches, homes, and businesses quickly sprang up to accommodate them. Important industries developed, including logging, lumbering, brick making, ice harvesting, and more. Brainerd's well-known landmark, the historic water tower, was the first concrete elevated water tank in the United States. Author Bio: The Crow Wing County Historical Society's photographic archives bring Brainerd's early history to life in Images of America: Brainerd. The staff and volunteers carefully researched how a wild and woolly wilderness was transformed into a thriving community. 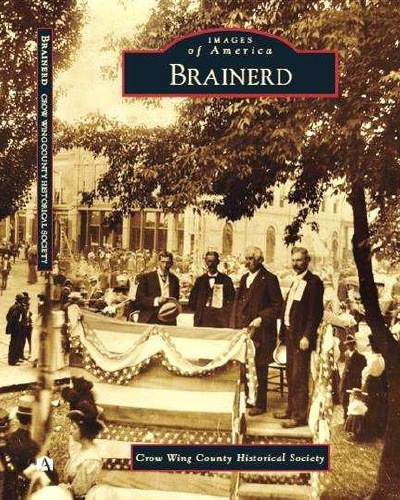 I have just completed reading Images of America: Brainerd, a newly published book compiled and written by the staff of the Crow Wing County Historical Society and I want to let all lovers of Brainerd history know that this is far and away the BEST and MOST ACCURATE book ever printed on the history of Brainerd. 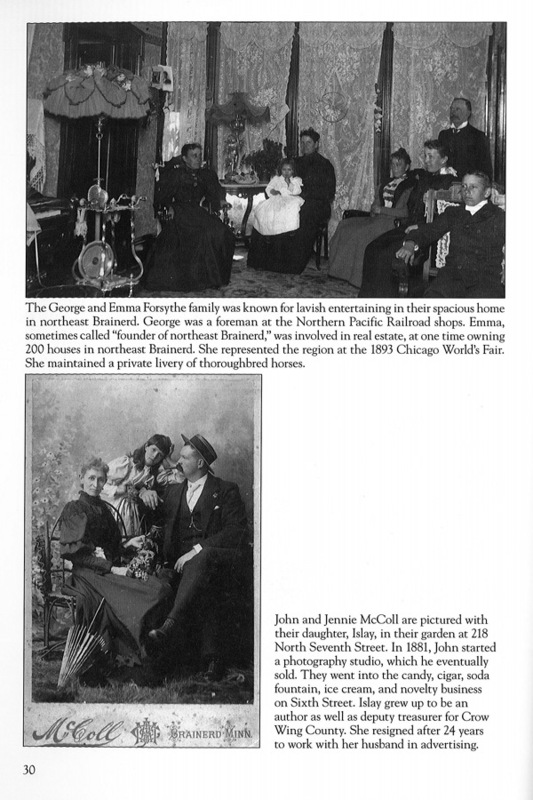 The photographs included in the book are excellent; it is apparent a great deal of thought and consideration was given to their selection and they cover a wide variety of people and events important to the history of Brainerd. 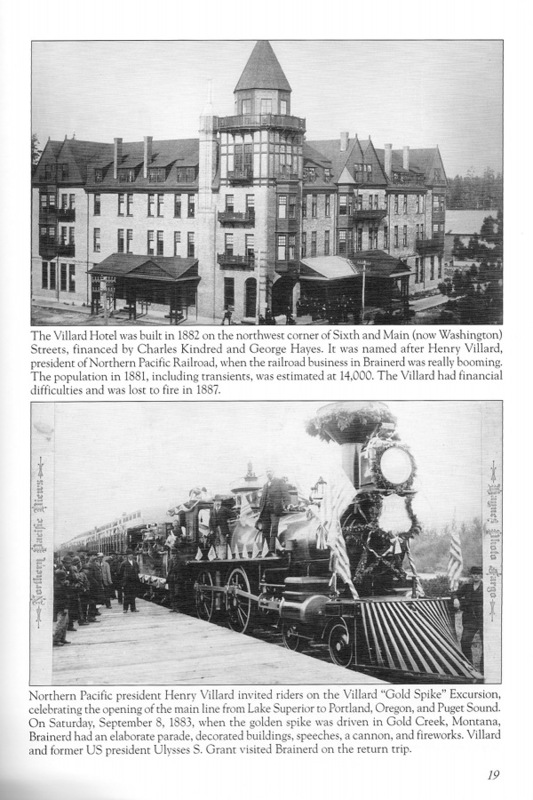 The descriptions of the photos portraying historic Brainerd events, buildings and people are complete, concise and extremely accurate. It's clear that as much history as possible was included in a very limited amount of space--and that is an exceedingly difficult task to accomplish. It is obvious that the staff of the historical society expended a considerable amount of time, effort and energy into making this book a monument to Brainerd history. They are all to be congratulated on the outcome. I thank the Crow Wing County Historical Society very much for undertaking this enormous task and bringing it to a highly successful conclusion.